An in-depth WINC Review – Goodbye too much choice… Hello personalized wine subscription! You like trying different types of wine. But when you have to pick a good bottle, you stress out… or just don’t always have time. Floral notes, chalky tannins and hints of sweet spice: it all sounds very poetic, but – admittingly – can also be confusing. There are an estimated 25.000 different bottles of wine for sale on the current market, so spoiled for choice seems like an understatement. Fortunately, there is a solution to your wine-dilemmas: Winc Wine Club. We’re going in-depth on this subscription service in this extensive Winc Review. Get reading, get inspired and get drinking! 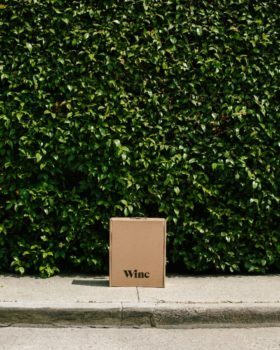 Winc Wine Club is – as its name already reveals – a wine delivery service based on a subscription that has been single-handedly redefining the wine subscription market. 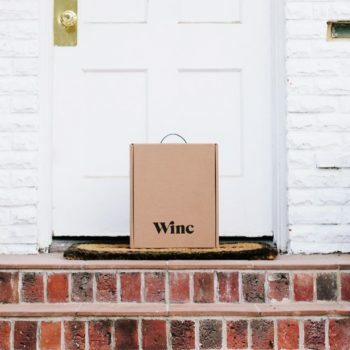 Each month, Winc delivers a personalized selection of 4 bottles right at your doorstep. No more wandering aimlessly through the aisle of your local wine shop or liquor store. 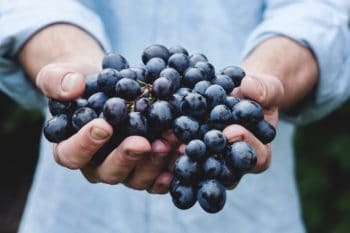 What makes Winc Wine Club different than other subscription services is that it doesn’t just deliver the wines: it also creates wines, and helps picks the wines for you. This means you’ll get to enjoy amazing value-for-money bottles ($13 to $42) as the company has cut down on unnecessary third-party costs. Winc Wine Club is an affordable way to entertain your taste-buds with a monthly selection of quality labels. Wines types range from Cabernet Sauvignon and Malbec to Sauvignon Blanc and Chardonnay, plus Cider, Rosé, and Sparkling Wine. 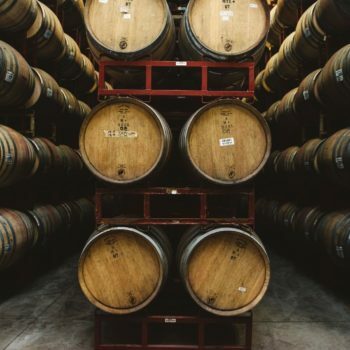 In contrast to other wine subscription services that simply rely on third-party suppliers for their wines, Winc has gone straight to the source: producing. This means that Winc is not just in control of the wines, it’s also in control of the vines. The company employs renowned vintners and has partnered up with independent winemakers. This allows Winc to adhere to the highest quality standard, and also maintain a great diversity of labels in its rich assortment. Another reason you should know more about Winc is the company’s special 100% Satisfaction Guarantee. If you really don’t like a bottle, simply contact the Winc Concierge and arrange to receive full credit. This credit can be used on procuring Winc wines in your next delivery. Note: some restrictions apply. Bonus reason to know more about Winc: With our promo code you get $22 OFF & complimentary shipping. 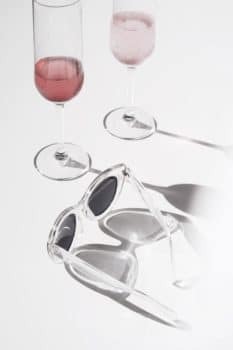 At Ilovewine.com we’ve also secured a special Winc Review promo code for you – our readers – that can be used at Winc Wine Club to get a fantastic $22 off (plus complimentary shipping) on your first order. Simply apply the promo code ilovewine20 during your checkout process and save big! Before we dive into this Winc Review, let’s recap what this service, also known as simply Winc, is all about. Winc is a monthly wine subscription service that delivers 4 bottles (you can select more if preferred) right to your door. Founded in 2012 by Xander Oxman and Geoff McFarlane, the company was created from a belief that wine should be ‘simpler to get and easier to enjoy’. 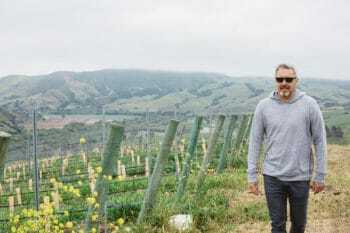 Already a strong blend of entrepreneurial spirit, Winc added an extra note of expertise to the team when Brian Smith – renowned sommelier and winemaker – joined the company. At the start, Winc – like the majority of wine services – supplied customers with third-party produced wines. Though the company already was ahead of the pack, using its algorithm to personalize boxes based on palate profiles, it was not yet the powerhouse it is today. The shift came in the summer of 2015 when Winc hired seven winemakers: transforming it from a wine distributor to a wine producer. Based on their already substantial user data, Winc knew exactly what the modern-day consumer likes, wants and desires. This gave the company the knowledge and tools to create a curated experience for every kind of wine aficionado. Winc procures and produces wines all over the globe, but one of its main wine regions the state of California. This region accounts for 90% of all American wine on the market (and also the biggest chunk of Winc’s assortment). It’s the go-to destination for quality vines. Why is California such a prolific wine region? Simple: it’s been blessed with the ‘ideal wine climate’. Vinifera vines (the vines used in the winemaking process) are quite particular when it comes to growing conditions. Firstly, they aren’t equipped for cold temperatures. In most cases, the vines will die when the temperatures drop below 5° F. This makes cultivating them in the Northern or Eastern States quite a challenge. Secondly, a climate that has fluctuations of high temperatures and high humidity might enable a spread of fungal diseases. Ruling out the humid Midwestern or Southern states. 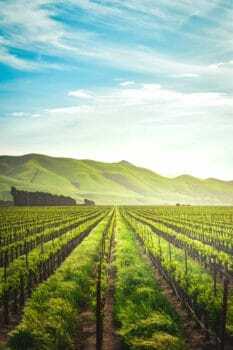 The California wine regions have neither of these two factors: they are warm, bask in bountiful sunshine and profit from their proximity to the Pacific Ocean to maintain a dry climate. These ideal conditions present ample opportunities for vine growers. Winc instantly saw the potential of the Golden State when it started its wine producing adventure. For the production of its first wine, WKND, Winc focussed on a small area near Santa Barbara. This sunny California location had all the ingredients for outstanding vines. It was near the sea, and just at the intersection where the climate rapidly transforms. As this is the exact sweet spot where the climate goes from warm and dry (befitting Cabernet Sauvignon) to cold and moist (perfect for Pinot Noir). 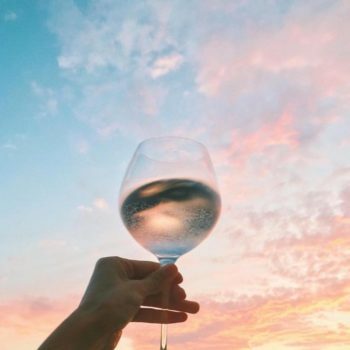 Following the success of their original Californian wine, Winc Wine Club still maintains a large presence in the Golden State; offering dozens of Californian wine types in its curated selection. Examples are the Capuchon Grenache Blanc, produced in the Happy Canyon region of Santa Barbara County. This bright, crisp white wine has its grapes hand-picked from the Jack McGinley vineyard, noted for its mineral-rich soils. 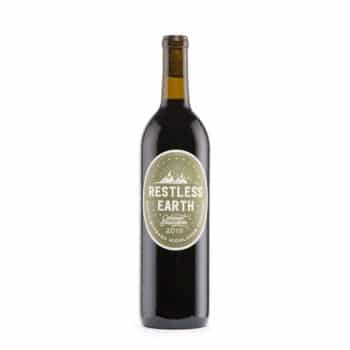 Another prime Californian choice in the Winc Wine Club selection, the 2017 Restless Earth Cabernet Sauvignon, also hails from the area. 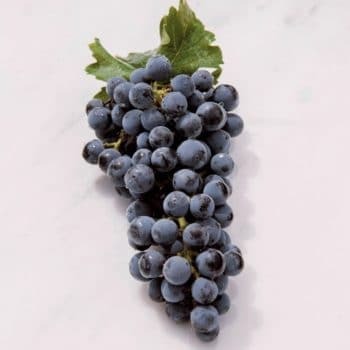 This Cabernet is produced in the Santa Barbara Highlands Vineyard. This location is the highest elevation vineyard in Santa Barbara Country, at around 3000 feet above sea level. The climate there is so dry, just a few inches of rainfall each year, that it generates an optimum level of UV-rays. Combined with warm temperatures, the acidity of the grapes is perfectly preserved. This allows them to hang longer and develop an incredible depth of flavor. These factors create an outstanding quality Cabernet with a rich taste profile that will surprise and entice fans of bold reds. Carneros-Sonoma, Sonoma Coast, Alexander Valley, Mendocino, Monterey, Lime Kiln Valley, Napa Valley, Lodi, Paso Robles, Santa Cruz Mountains, and the Central Coast. The questions are used to determine your preferences for different flavor profiles, if you like your coffee black, you probably won’t mind a slightly bitter wine. 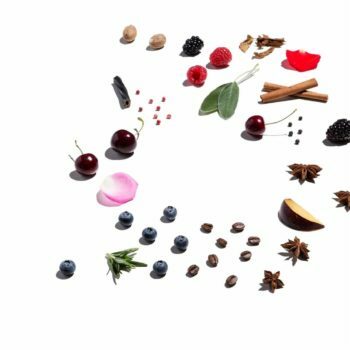 If you love berries, you’ll tend to appreciate a fruity blend etc. 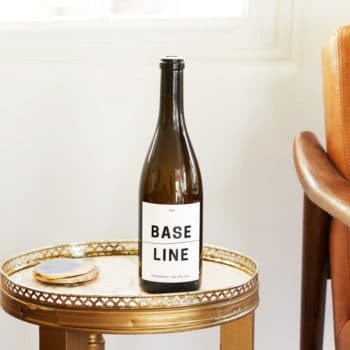 They might seem like simple questions, but combined with Winc extensive user data, state-of-the-art algorithm, and wine expertise, the outcome is 4 suggested labels that should suit your palate. N ext in the Palate Profile Quiz is the question: “How much do you usually spend on a bottle of wine?” The options: $15, $20 or $25+. Answer honestly, you’re not trying to impress anyone. Winc doesn’t judge if you’ve only tried less expensive wines, it simply helps find wines that suit your budget! For this Winc Review, I selected the cheapest, $15 option. Now you’ve reached the final step in the Winc Palate Profile Quiz: select your preferences for white or red. You can fill your monthly box with two of each, or adjust the quantity to your liking. 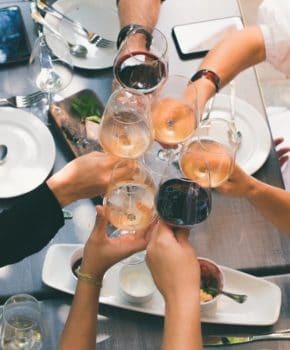 I personally went for a full red box (four bottles) as I had a few dinner parties where I knew red would match better with the food served, giving me the chance to not just test the wines for myself, but also get my friends’ opinion on Winc’s selection. The best part about this is that you can simply swap any wine in your selection for a different option from the Winc assortment if you happen to doubt a bottle(s) Winc suggested. There are all types of wines to choose from, with prices starting from $13 dollar a bottle. 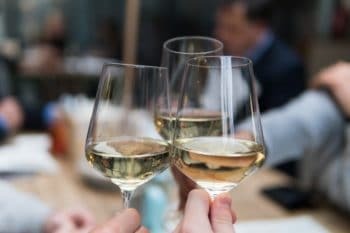 However, the main reason you’re probably reading this review is that you crave a service that takes the research and guesswork out of your wine buying – so if this is you: simply stick to your Winc selection and let it surprise and entice you. After each delivery you’ll have the option to evaluate and rate the wine, helping Winc learn more about your taste buds. It also helps the company provide even better recommendations as your membership progresses. And remember: if you really dislike a bottle, there’s also the 100% Satisfaction Guarantee that allows you to get full Winc credit for the wine. Cheers to that! After filling out the Palate Profile Quiz I was presented with 4 suggested reds. This selection included the 2018 Mercana Malbec from Argentina; the 2017 Altre Món (red blend) from Spain; 2017 L’Atelier du Sud Red Blend from France and 2017 Chop Shop Cabernet Sauvignon, produced locally in California. I was pleasantly surprised by the mix of types of wines Winc came up with. The Mercana and Altre Món were both accompanied by a description that talked about spices like tobacco and pepper. In contrast, the L’Atelier du Sud Red Blend and Chop Shop Cabernet Sauvignon had more fruity personalities with notes of berries. I was intrigued by how they would compare to my regular liquor store choices. Would Winc actually know my taste buds better than I do? Before starting a membership and ordering the wines, I wanted to learn more about their individual characteristics. This brings me to the next part of this Winc Review: receiving a wine education. Winc is big on sustainability and has decided to put most of its wine information online, instead of in a bulky brochure. This differs from other wine clubs, who often include a printed brochure with each order. With Winc, you’ll receive a periodical copy of the Winc Journal: a compact booklet with useful information. Read about the current wines in Winc’s assortment, winemakers, and enjoy suggestions on food pairings and more. However, if you want to get more specific information regarding the Winc wines, I’d redirect you to the Winc website. 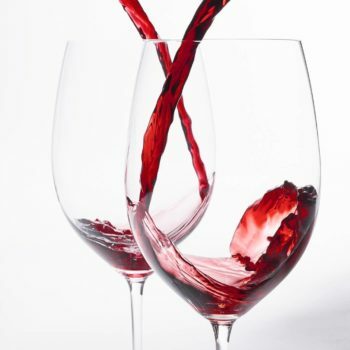 Pro’s: You can find all the basic information regarding wines in one, sleek overview. It lists the notes and tannins, suggested food pairings and background content on where the wine comes from. This info should be enough for most consumers. It gives you plenty of interesting knowledge to impress your friends with, and allows you to learn more about your own taste preferences in a quick, effective way. Con’s: If you’re looking for a full-education on wine, Winc might not be the subscription service for you. Though the company provides plenty of useful info, its printed and online materials aren’t as in-depth as some aspiring wine sommeliers might desire. After reading up on the 4 wines Winc had suggested to me, I went ahead and placed my first order, automatically starting my membership. The Winc Membership allows you to skip a month, as often as you like, at no charge. 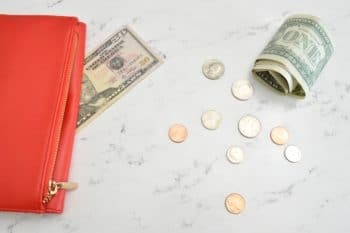 This is perfect for when you’re away on holiday and can’t take delivery or when you simply have had a rough month financially and need to save on non-essential purchases. Though, if you ask me, wine is always essential. The only restriction is that you’ll have to request this 48 hours before the monthly processing date of your order. A tip: set a reminder in your phone to keep track when this is due. All Winc members enjoy complimentary shipping on orders of 4 bottles or more. Yes, this also means you can cut your subscription to 3 bottles per month instead of the standard 4. But, as you will pay for shipping, you might as well add another bottle to your order, instead of shelling out money on postage. Winc also offers its members the option to save more, by ordering more, with a special Case Discount. If you order 12 bottles (or more), you’ll receive an additional 10% off your order. The best part? You can mix and match all wines to meet this quota. Select 12 of your own favorites, or order a few for friends and family: as these quality wines also make great gift-options for any occasion. The discount is automatically applied at check-out if your order is eligible. Winc Members also have the opportunity to purchase Winc credits at a discounted rate, meaning you’ll receive an even better deal on bottles. For example, you can buy $300 dollar of shopping credit for just $275 – giving you an instant $25 dollar of your orders. Another way to earn free Winc credit is by referring friends via a personal invite link. Yes, you know the type of posts I am talking about, as Winc certainly isn’t the first company to offer a referral deal. However, it is worth the effort spamming your friends about this wine club: as Winc gives you $15 dollar in credit if a friend signs up. Credits for you, great quality wine for them: it’s a win-win-situation. Another perk of membership is the 100% Satisfaction Guarantee. This guarantee entitles that if you don’t like the wine you were sent, you can get credited for the full value of your bottle. 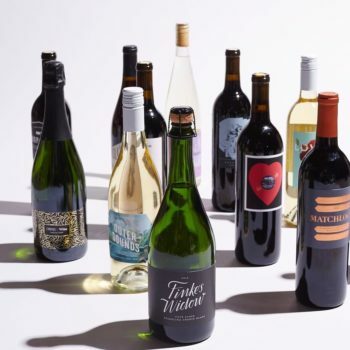 This unique 100% Satisfaction Guarantee is very rarely found when it comes to monthly wine subscriptions and testifies that Winc firmly stands behind the quality of its service. Worth mentioning: Winc has put a disclaimer with its Satisfaction Guarantee. “We reserve the right to deny Satisfaction Guarantee to customers who abuse the policy,” which seems more than fair considering it offers full credit back on wines. Prior to giving my verdict on the 4 bottles I tested for this Winc Review, I want to briefly highlight the top-rated wines; as judged by other Winc members. After you’ve received your shipment, Winc gives you to option to rate your bottles. Rating wines has two functions: it helps the company’s algorithm further specify your palate profile, plus it also allows you to see what others thought of their order. 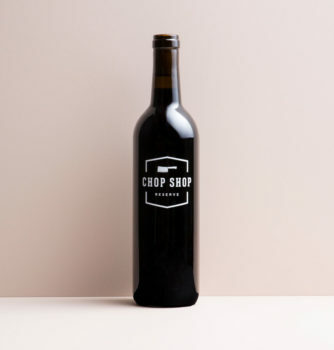 To quickly recap: the 4 wines I received in my first box were the 2018 Mercana Malbec (Argentina); 2017 Altre Món Red Wine (Spain); 2017 L’Atelier du Sud Red Blend (France); and 2017 Chop Shop Cabernet Sauvignon (California). After reading up on Winc’s wine regions and discovering their big presence in California, I was surprised my box only included 1 Californian wine and 3 international options. Though the Argentine, Spanish and French wines are great blends with interesting flavor profiles (in particular the herbal notes in the Altre Món Red Wine); the Californian bottle in my box was superior. 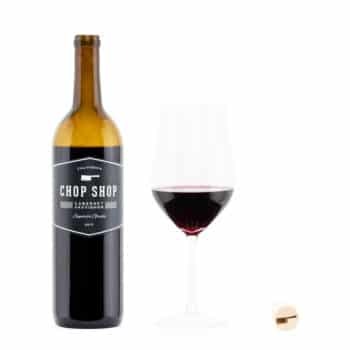 The Chop Shop Cabernet Sauvignon is a jammy, full-bodied wine with a fruity personality. Hints of black currant and red cherry balance well with its tasting notes of eucalyptus and baking spice. This is a pure crowd-pleaser. When my friends came over for dinner during, I decided to do a little blind-tasting with all 4 bottles for my Winc Review. How? Simple: just place each bottle in a paper bag and voila, you have a ‘blind’ wine tasting session. The verdict was unanimous: the Chop Shop Cabernet Sauvignon was a clear winner. Other Winc members agree, rating this wine 4.2 stars out of 5 (compared to the other bottles in my box – with ratings of 3.7 and 3.8). When further evaluating all 62 options in the Winc Wine Club assortment, I noticed that out of the 12 international wines, only 1 has a rating of 4 stars or above. In contrast, out of the 50 domestic labels, 21 bottles have a rating of 4 stars or above. Doing some quick math, that means that 8.3% of international wines have a minimum 4-star user rating. Compared to the 42% of domestic wines. Interesting! Now, let me just clarify: the wines that score lower, like the 2017 Altre Món Red Wine in my box, are by no means average wines. I still rate them a lot higher than comparable value bottles at the local liquor store. All Winc wines, according to members and my personal experiences, are superb value-for-money. However, for me, it does mean that in my next Winc Wine Box, I might swap some international options for domestic options. Living in California, I know our region’s wines are top-quality and can compete with any famed wine international region like the Bordeaux or the Mendoza. Trying out domestic wines is a great way to get a taste of the Golden State’s and support our American wine industry. Even the #1 rated Red, White, and Rosé in Winc’s assortment originate from sunny California. 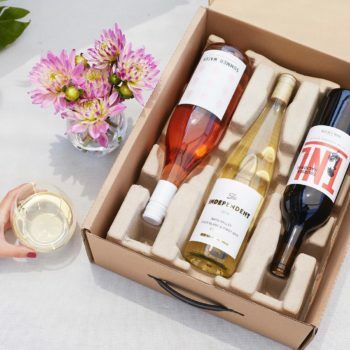 So, even though I enjoyed all the options in my Winc Wine Club subscription for this Winc Review, I definitely want to mix and match my box to sample some local delights in my next delivery! 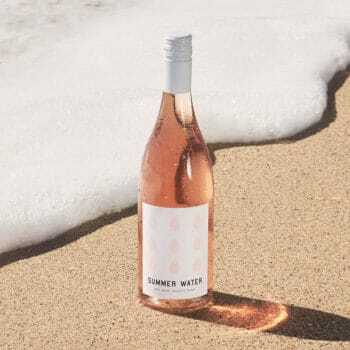 When I set out to write this Winc Review, I wasn’t quite sure how this wine subscription service would differ from others I’ve tried in the past. 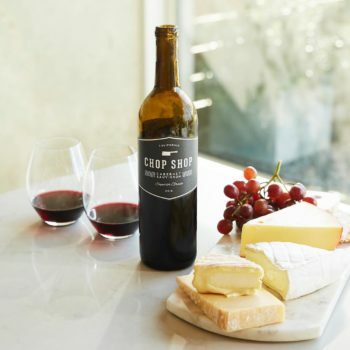 After doing my research and trying a few options from Winc’s assortment, I can say for certain that this company is a game-changer in the world of wine at your doorstep. Winc Wine Club is the perfect choice for those that like wine, but hate the stress that comes with picking out a ‘great’ bottle. This service caters exactly to consumers who want to try new things at a price they can still afford. Winc offers great value-for-money quality and a flexible membership without any pesky hidden fees or locked-in contracts. If you don’t like being a Winc member, the company allows you to cancel your subscription free of charge. If you are a Winc fan, there are special incentives, such as the referral program, to help you save even more on your monthly orders. With 60+ wines to choose from, there is something for every taste preference in the Winc assortment. 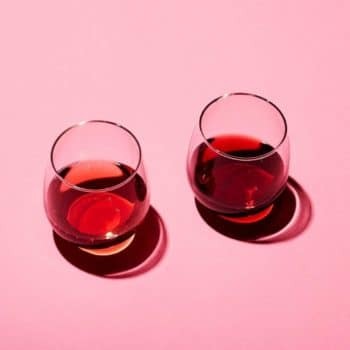 Taking the ‘Palate Profile Quiz’ and using a special algorithm is a smart, personalized way this company matches your likes and dislikes to its curated assortment of wines. And having the option to edit the suggested bottles in your monthly box is a big bonus. In conclusion to this Winc Review: Winc is fun, easy (goodbye stress! ), affordable, transparent (no hidden fees) and very flexible. Overall, I’d definitely recommend all wine lovers to give this subscription-based delivery service a try; you won’t be disappointed. And remember, if you are, Winc offers a 100% Satisfaction Guarantee on its wines. So, you can always voice your thoughts with a Winc Concierge and arrange for a refund in Winc credit. You have nothing to lose, and a lot of great wine to gain! Winc Review: Promo Code available! If you’re excited to enlighten your taste buds with apply our special Winc Review promotional code and get $22 off + complimentary shipping. Apply the Winc promo code ilovewine20 at checkout and profit from this limited-time discount now!